Our academic proofreading service is of the highest quality, we are able to ensure this by maintaining strict in-house quality standards. We also guarantee a professional and high quality academic proofreading service by ensuring that all of our academic editors have the highest levels of expertise. 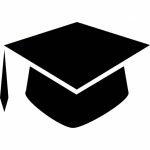 As a minimum we ensure that all of our academic editors hold Masters/PhD qualifications from leading British universities, and have extensive experience in the field of academic proofreading. Once you place your order with us we will match your work to one of our editors with the most relevant background and experience to your subject area. Due to the expertise of our editors we are able to ensure that your work is not only free from spelling mistakes and grammatical errors. We will also check syntax, sentence structure and are able to recommend improvements and suggestions that are relevant to your work. We also as part of our academic proofreading & editing service recommend content improvement suggestions, and we will also check that your tables and footnotes are accurate and consistent with your bibliography. Over the years we have found that this service differentiation works well in ensuring that we are able to cater for the needs of all clients and that we are able to charge fairly and reasonably in accordance with individual requirements. 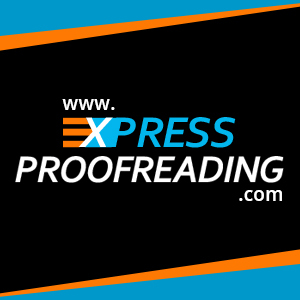 At Express Proofreading we believe in fair, transparent pricing for all of our services. We recognise that academic writing can vary, this is why we offer three types of academic proofreading services. We offer; basic proofreading, proofreading & editing, as well as heavy editing. For further information about our pricing policy for these services please visit our pricing page. Alternatively, you can obtain an instant quote by tailoring your order to your exact requirements by selecting Instant Quote.